We have some good news! 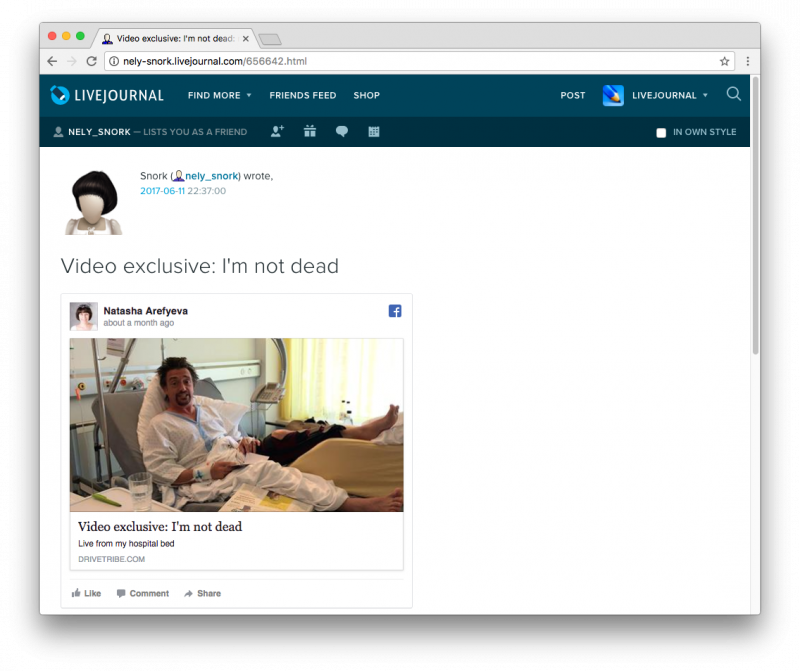 You are now able to import your public Facebook entries to LiveJournal automatically. You can make posts on both platforms at once, increasing your posts' reach and allowing users on both platforms to respond. New posts will be archived and be easily accessible by their publication date in your calendar. You can set up the import of your public Facebook posts to LiveJournal at the 'extensions' tab of your account settings. You will be able to choose import period and whether to import your new public posts automatically. LiveJournal entries cross-posted to Facebook will not be imported back again. You can edit the privacy level of imported entries and add your own tags to the post. Your subscribers will not receive notifications about old Facebook posts imported to LiveJournal; however, if you choose to import new posts automatically, your LiveJournal subscribers will receive the usual new post notification. The "from Facebook" tag is added to all the posts imported from Facebook.